The naturopath whistleblower: ‘It is surprisingly easy to sell snake oil’: Naturopath-turned-skeptic Britt Marie Hermes says that emotional support is key to the naturopathic following – and that modern medicine often fails to provide this. While this shortcoming is no excuse to promote woo, patients still turn to naturopathy due to a feeling of having been listened to, particularly those with chronic, untreatable conditions. Naturopathic cancer treatments vs reality: Naturopathy: the alternative medicine I can almost get on board with. I mean, some herbal supplements have their uses, right? But then natutropaths ruin it for me by endorsing practices like chiropractic or acupuncture as adjunct treatments. Or, even worse, the nothingness that is homeopathy. And yet, I think most naturopaths are sincere and believe they are helping people who have been failed by conventional treatment. Very much like Britt Marie Hermes before her epiphany over the administration of ukrain to cancer patients. Just because they are believers, however, doesn’t make them right. And then there are the unscrupulous operators who quite frankly don’t care if naturopathy works as long as they get paid. How can it be otherwise if you claim to be what amounts to a naturopathic oncologist? Naturopathic treatments don’t work. If they worked, they would be in use in “conventional” medicine. And cancer patients given ineffective treatments die. How is it possible to watch people die slowly, all the while not caring if you’re doing them any good and then charging them for the privilege? Of course, you can always blame the patient for not being dedicated enough to the treatment program, the ultimate get out of jail free card. We all must pick our own path. Personally, I don’t think being a non-conformist is worth dying over. Bee venom acupuncture: Deadly quackery that can kill: “So basically, here we have the case of a woman typical of those using alternative medicine, someone who sounds like one of the “worried well.” Basically, she sounded as though she was pretty healthy, but with some vague complaints, and that she was using bee venom acupuncture to treat them. She underwent routine bee venom treatments and over time apparently became sensitized to the bee venom. Then, because she was at what was probably an “integrative medicine” clinic, the clinic apparently didn’t have a crash cart, or at least didn’t have one of the key drugs that every crash cart needs to stock: Epinephrine. 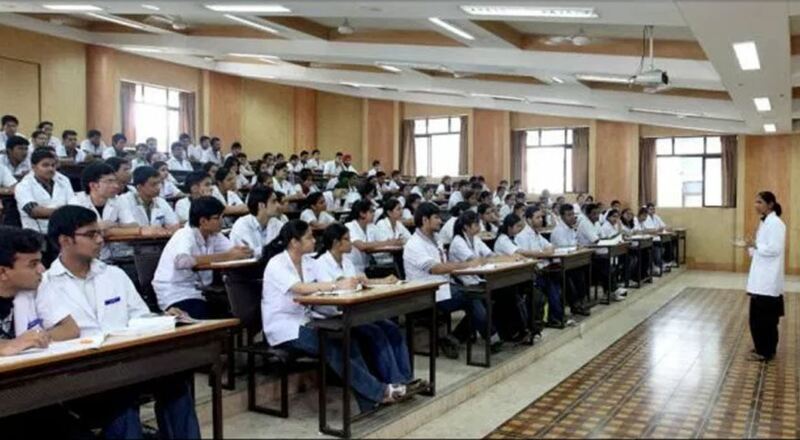 Cabinet junks bridge course proposal for Ayush doctors (New Delhi): The Union Cabinet on Wednesday decided to remove the provision of a bridge course in the National Medical Commission (NMC) bill. The provision had sought to enable practitioners of alternative medicine to practice modern medicine to a limited extent to deal with acute shortage of doctors in rural areas – which didn’t go well with allopathic practitioners and the Indian Medical Association had on Sunday threatened to launch indefinite strike across the country if the order was not withdrawn. PSA testing for prostate cancer is only worth it for some: “A recent UK study showed no significant difference in survival between men who had a single prostate-specific antigen (PSA) test – a blood test used to detect prostate cancer – and those who didn’t, after about ten years of follow-up. This was despite the test being responsible for more prostate cancers being diagnosed. It was the largest ever randomised trial on this question, involving 400,000 men aged 50-69 without prostate symptoms. The findings were in keeping with previously published trials of PSA screening, which, other than one exception, have also shown no improvement in survival. Fad’s and correlation studies – Omega-3s aren’t so great for your heart after all: Science is always hunting for interesting things to support better health and treatments. But many interesting things turn out not to be true. Unfortunately, at the first sign of something interesting and sell-able, the marketing and supplement salesman go into overdrive and another unscientific fad is born. The Invention of the PET Scan – Forty years since the first PET image at CERN: By using a short-lived radioactive substance that is uptaken by cells that consume a lot of energy, the PET scan is able to identify cancerous growths that may not otherwise be visible on CT scans. Inching closer to a world without polio: Remember polio? Many of you wouldn’t (this editor included), but it’s associated commonly with paralysis. Oh, and death. Unfortunately wiping out polio hasn’t been as simple as we’d have hoped (like smallpox), as it is still harbored in populations who tend not to vaccinate and is also associated with quite rare vaccine-derived polio (that’s been reported in 0.00008% of vaccinated people – for comparison, Americans have an 0.15% chance of dying in a car accident or 0.0006% chance of being killed in a lightning strike) which is excellent fodder for the pesky anti-vaxxers. In the last decade we have come closer to the dream of a polio-free world, and we should all take some time to appreciate life without fear of our children being paralysed by a debilitating, highly contagious viral infection.